It’s always so much fun to take a unique theme and put a girly twist on it. 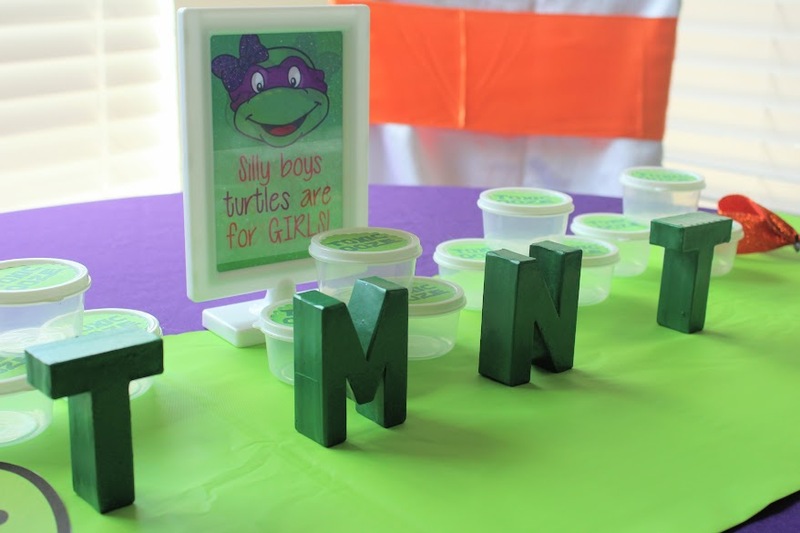 These girly Ninja Turtle birthday party ideas are sure to inspire you. 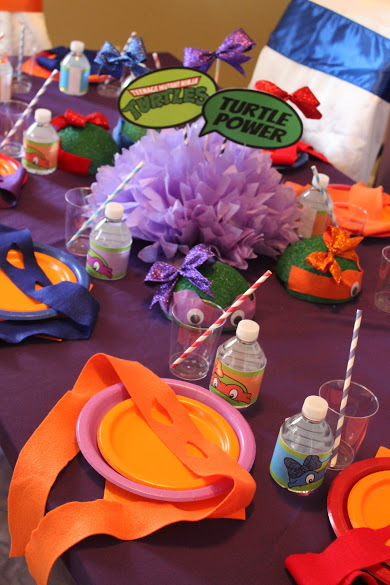 For the party decor, we stayed with the main five Ninja Turtle colors: orange, red, blue, purple and green. We also added in pops of green. 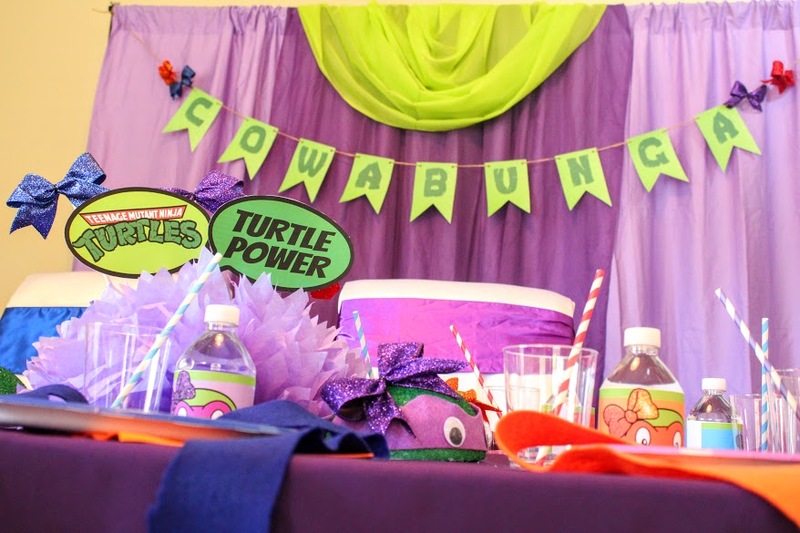 We added glitter and bows to everything to give it a fun girly flair. 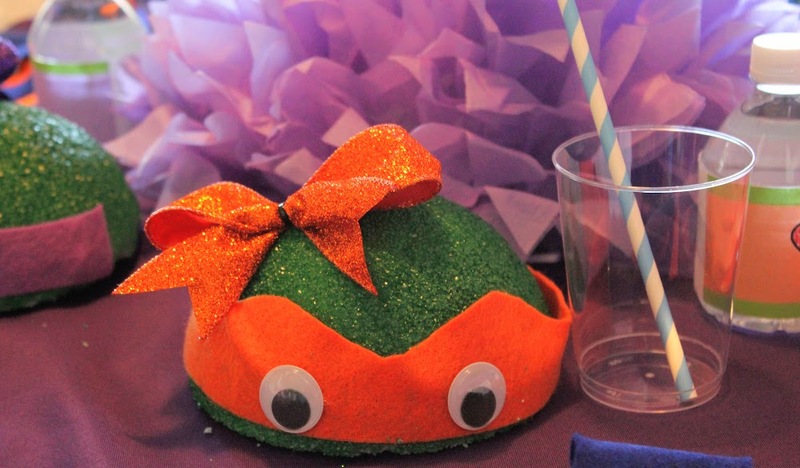 The centerpiece ‘heads’ were made from painted half styrofoam balls. 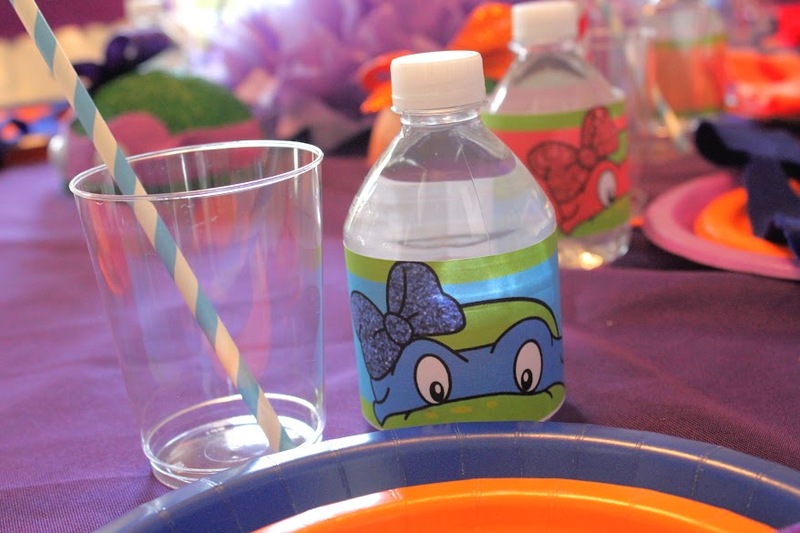 We also cut eye masks from felt and laid it across each guest’s plate. 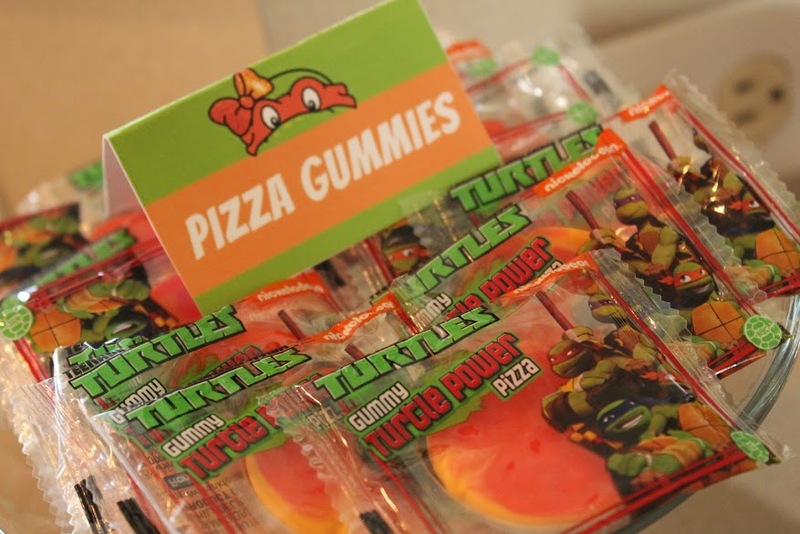 It was so much fun to create themed food for this party. 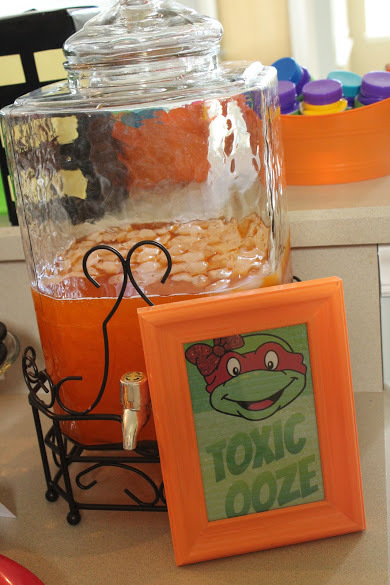 We served Toxic Ooze which was just orange punch. 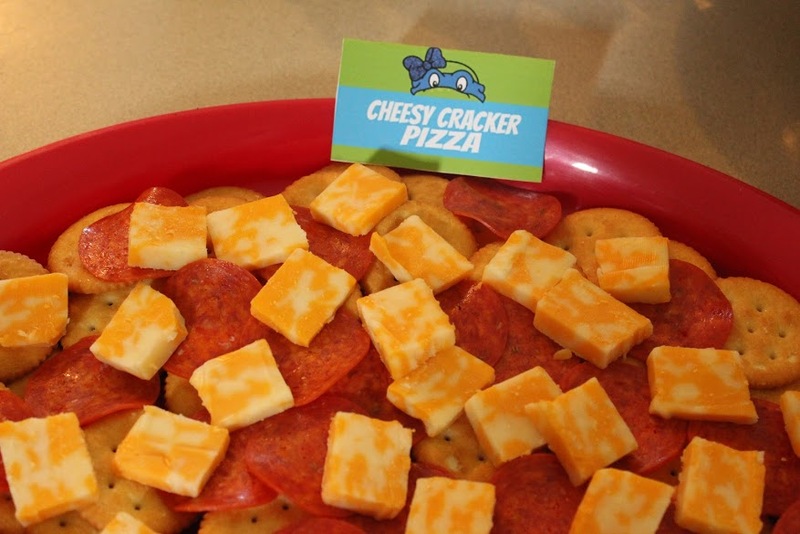 The cheesy cracker pizza was made from cheese, pepperoni and Ritz crackers. 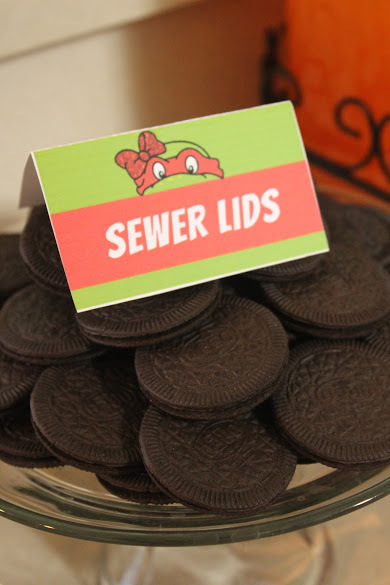 Oreo cookies serve as “Sewer Lids” and the Ninja Turtle gummies made for an extra sweet surprise. 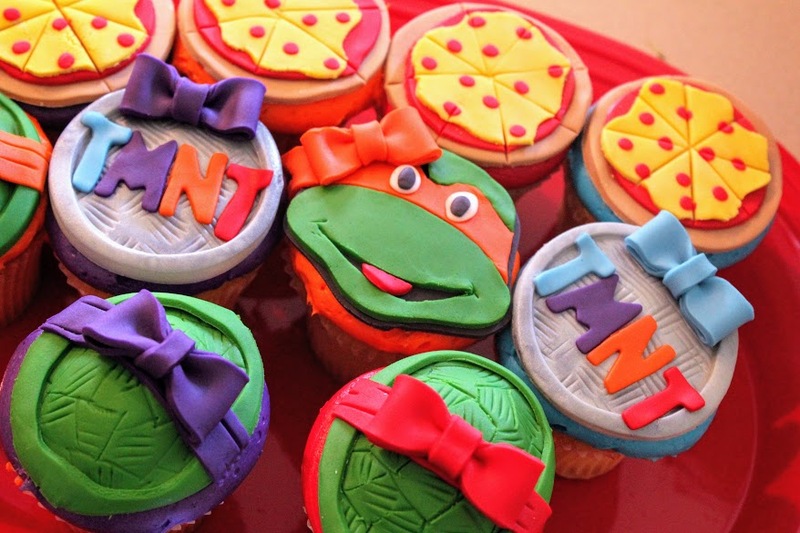 These cupcakes were also amazing! We offered lots of girly activities including: hair, make-up, glitter tattoos and mini manicures. 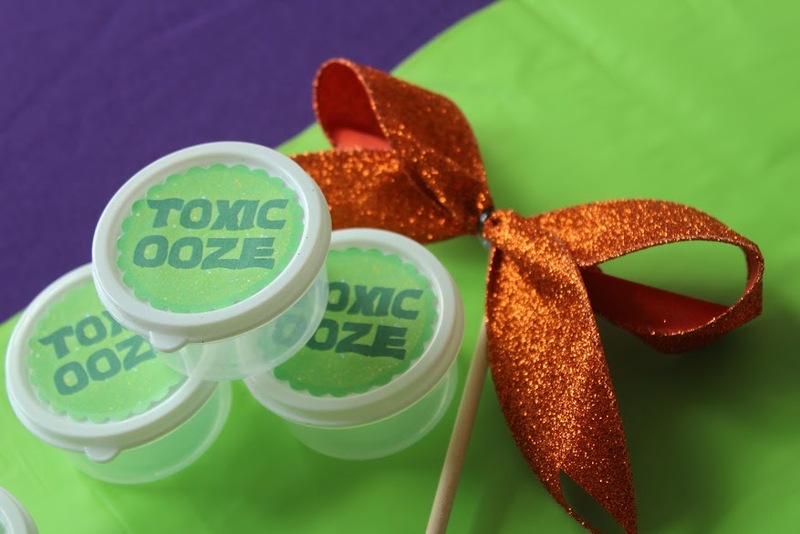 Guests also made green slime, appropriately labeled “Toxic Ooze”. 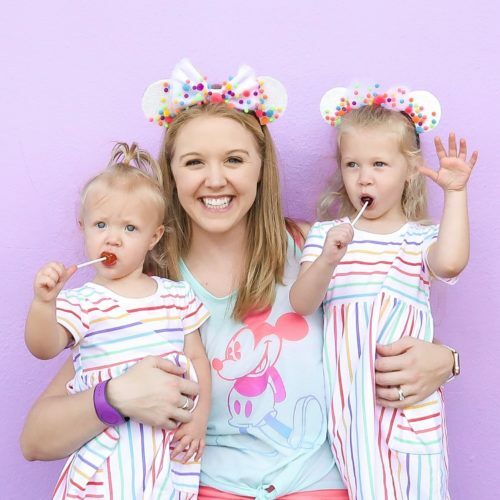 Join my VIP Facebook group to access the free printables. Answer the questions and once approved, you’ll be granted access. Click on “files” to see all free printables for check out the pinned post.